As referred to in the Texture Review above, these Crisps were particularly oil hardened. This transferred directly to their crunchiness, which was outstanding. From the first bite to the last, there was a crisp, crackling crunch to each munch. The bag constituents all featured a crusty, rugged, desert like surface. There were oil boils, and oil hardened crumbly areas. The Crisps were mostly bent and twisted, as with most Hand Cooked Crisps. The pale yellow had browning on some edges, and some were virtually transparent, such was the afore-mentioned hardened oil. A Nose Plunge Test revealed Salted Potato Crisps. The flavour was also of greasy, salty, Potato Crisps. 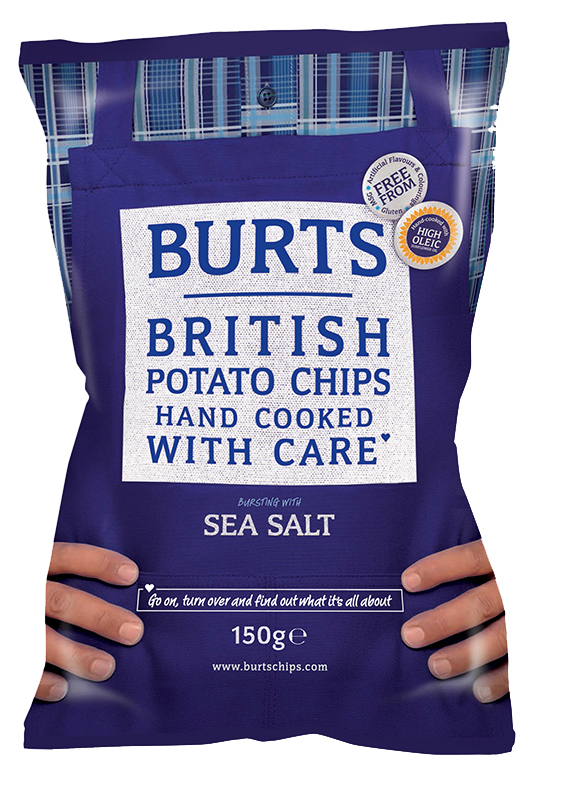 We are not the best judges of Plain Crisps at Chips & Crisps, we prefer flavour. However, these stood fairly tall among peers.